Barba Performance Horses is committed to providing the best horse training facility in South Texas. We are located on the SE side of San Antonio, just a short drive from downtown San Antonio. 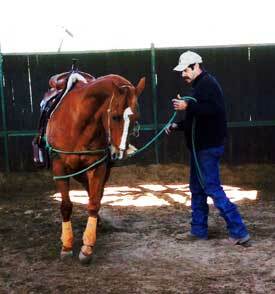 Victor Barba has over 20 years of industry experience as a horse trainer, breeder, and showman. He has a special interest in reining training and showing. ⇒ Helping you buy or sell a horse. Victor's commitment to you is helping you achieve excellence with your horse. You and your horse will experience a fun and open atmosphere while you are training with Victor! BP Horses facility includes 20 horse stalls, covered and enclosed round pen, open arena, outside walker, heated wash racks, premium Purina feed and hay (2x daily) included with your monthly training fees. Please feel free to contact Victor with any questions.